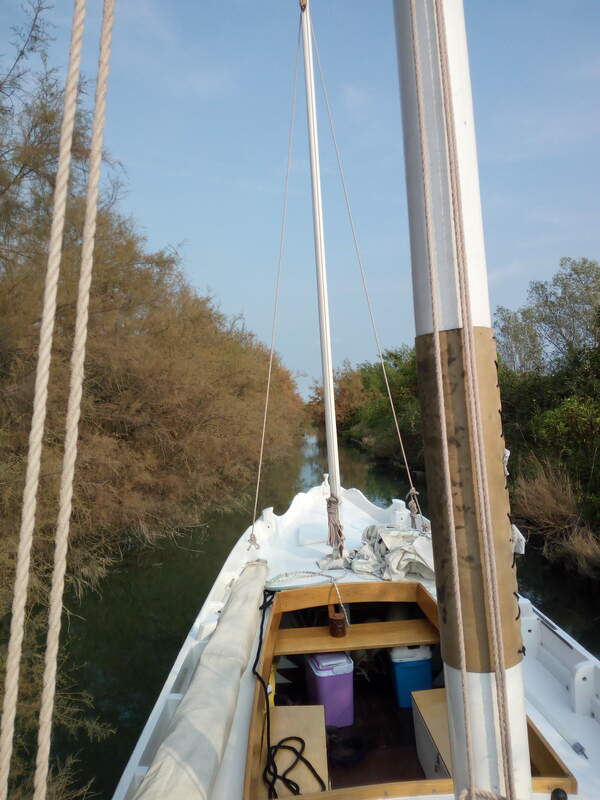 Let's try and synchronize the rhythm of our journey with what sorrounds us, experiencing the lagoon of Venice through a small traditional sailing boat. With the pace and the silences belonging to those who inhabit these places, we propose a unique experience of discovery within water spaces and "barene" of a rare solitude. We want to share with you an ancient natural enviroment, charged with history, far from the madding crowd. Gliding on shallow waters, we will sail with an archaic rig through a forsaken waterland. You will find out that, where Venice was born centuries ago, nothing has changed. We organize sailing trips in the heart of the Venetian lagoon, with the safety of a small outboard motor and a couple of oars. We will seek infinite horizons, watching the sea bed glide under the boat, in the kindom of aquatic birds. In harmony with the enviroment, we use small traditional sailing boats, hosting at most four people, for a unique and unforgettable experience.